1 A None No Power Seat 1 A has extra legroom due to the small cutout in the bulkhead. The tray table is in the armrest, making the armrest immovable and slightly reducing seat width. There is no floor storage for this seat during take-off and landing. 1 B None No Power Seat 1 B has extra legroom due to the small cutout in the bulkhead. The tray table is in the armrest, making the armrest immovable and slightly reducing seat width. There is no floor storage for this seat during take-off and landing. 1 E None No Power Seat 1 E has somewhat restricted legroom. The close proximity to the galley may be bothersome. The tray table is in the armrest, making the armrest immovable and slightly reducing seat width. There is no floor storage for this seat during take-off and landing. 1 F None No Power Seat 1 F has somewhat restricted legroom. The close proximity to the galley may be bothersome. The tray table is in the armrest, making the armrest immovable and slightly reducing seat width. There is no floor storage for this seat during take-off and landing. 10 A None No Power Seat 10 A is an Economy Class seat, however there is no window at this seat. 10 F None No Power Seat 10 F is an Economy Class seat, however there is no window at this seat. 14 A None No Power Seat 14 A has limited recline due to the Exit Row behind. 14 B None No Power Seat 14 B has limited recline due to the Exit Row behind. 14 C None No Power Seat 14 C has limited recline due to the Exit Row behind. 14 D None No Power Seat 14 D has limited recline due to the Exit Row behind. 14 E None No Power Seat 14 E has limited recline due to the Exit Row behind. 14 F None No Power Seat 14 F has limited recline due to the Exit Row behind. 20 B None No Power Seat 20 B does not have extra legroom despite being an Exit Row seat and also does not recline. Since the seats in this row are coupled in twos, this seat can be ideal for traveling with a partner. This seat will have some extra shoulder room as the window seat next to it is missing. 20 C None No Power Seat 20 C does not have extra legroom despite being an Exit Row seat and also does not recline. Since the seats in this row are coupled in twos, this seat can be ideal for traveling with a partner. This seat will have some extra shoulder room as the window seat next to it is missing. 20 D None No Power Seat 20 D does not have extra legroom despite being an Exit Row seat and also does not recline. Since the seats in this row are coupled in twos, this seat can be ideal for traveling with a partner. 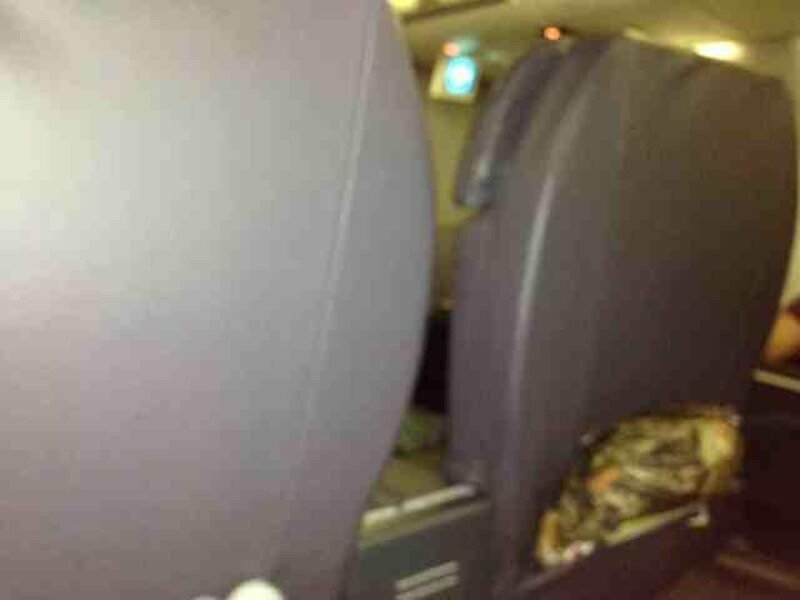 This seat will have some extra shoulder room as the window seat next to it is missing. 20 E None No Power Seat 20 E does not have extra legroom despite being an Exit Row seat and also does not recline. Since the seats in this row are coupled in twos, this seat can be ideal for traveling with a partner. This seat will have some extra shoulder room as the window seat next to it is missing. 21 A None No Power Seat 21 A is an Economy Plus seat with extra legroom due to the exit in front. The tray table is in the armrest, making the armrest immovable and slightly reducing seat width. 21 F None No Power Seat 21 F is an Economy Plus seat with extra legroom due to the exit in front. The tray table is in the armrest, making the armrest immovable and slightly reducing seat width. 3 A None No Power Seat 3 A is a First Class seat, however it may have limited recline due to the bulkhead behind. 3 B None No Power Seat 3 B is a First Class seat, however it may have limited recline due to the bulkhead behind. 3 E None No Power Seat 3 E is a First Class seat, however it may have limited recline due to the bulkhead behind. 3 F None No Power Seat 3 F is a First Class seat, however it may have limited recline due to the bulkhead behind. 30 A None No Power Seat 30 A has reduced seat width by 1" due to the curvature at the tail of the plane. 30 B None No Power Seat 30 B has reduced seat width by 1" due to the curvature at the tail of the plane. 30 C None No Power Seat 30 C has reduced seat width by 1" due to the curvature at the tail of the plane. 30 D None No Power Seat 30 D has reduced seat width by 1" due to the curvature at the tail of the plane. 30 E None No Power Seat 30 E has reduced seat width by 1" due to the curvature at the tail of the plane. 30 F None No Power Seat 30 F has reduced seat width by 1" due to the curvature at the tail of the plane. 31 A None No Power Seat 31 A has reduced seat width by 1" due to the curvature at the tail of the plane. 31 B None No Power Seat 31 B has reduced seat width by 1" due to the curvature at the tail of the plane. 31 C None No Power Seat 31 C has reduced seat width by 1" due to the curvature at the tail of the plane. 31 D None No Power Seat 31 D has reduced seat width by 1" due to the curvature at the tail of the plane. 31 E None No Power Seat 31 E has reduced seat width by 1" due to the curvature at the tail of the plane. 31 F None No Power Seat 31 F has reduced seat width by 1" due to the curvature at the tail of the plane. 32 A None No Power Seat 32 A is in the last row of the plane and has limited or no recline. This seat has reduced seat width by 1" due to the curvature at the tail of the plane. The close proximity to the lavatories and galley may be bothersome. The overhead bin above this seat is reserved for crew use. 32 B None No Power Seat 32 B is in the last row of the plane and has limited or no recline. This seat has reduced seat width by 1" due to the curvature at the tail of the plane. The close proximity to the lavatories and galley may be bothersome. The overhead bin above this seat is reserved for crew use. 32 C None No Power Seat 32 C is in the last row of the plane and has limited or no recline. This seat has reduced seat width by 1" due to the curvature at the tail of the plane. The close proximity to the lavatories and galley may be bothersome. The overhead bin above this seat is reserved for crew use. 32 D None No Power Seat 32 D is in the last row of the plane and has limited or no recline. This seat has reduced seat width by 1" due to the curvature at the tail of the plane. The close proximity to the lavatories and galley may be bothersome. The overhead bin above this seat is reserved for crew use. 32 E None No Power Seat 32 E is in the last row of the plane and has limited or no recline. This seat has reduced seat width by 1" due to the curvature at the tail of the plane. The close proximity to the lavatories and galley may be bothersome. The overhead bin above this seat is reserved for crew use. 32 F None No Power Seat 32 F is in the last row of the plane and has limited or no recline. This seat has reduced seat width by 1" due to the curvature at the tail of the plane. The close proximity to the lavatories and galley may be bothersome. The overhead bin above this seat is reserved for crew use. 7 A None No Power Seat 7 A is a standard Economy Plus Bulkhead seat. The tray table is in the armrest, making the armrest immovable and slightly reducing seat width. There is no floor storage for this seat during take-off and landing. 7 B None No Power Seat 7 B is a standard Economy Plus Bulkhead seat. The tray table is in the armrest, making the armrest immovable and slightly reducing seat width. There is no floor storage for this seat during take-off and landing. 7 C None No Power Seat 7 C is a standard Economy Plus Bulkhead seat. The tray table is in the armrest, making the armrest immovable and slightly reducing seat width. There is no floor storage for this seat during take-off and landing. 7 D None No Power Seat 7 D is a standard Economy Plus Bulkhead seat. The tray table is in the armrest, making the armrest immovable and slightly reducing seat width. There is no floor storage for this seat during take-off and landing. 7 E None No Power Seat 7 E is a standard Economy Plus Bulkhead seat. The tray table is in the armrest, making the armrest immovable and slightly reducing seat width. There is no floor storage for this seat during take-off and landing. 7 F None No Power Seat 7 F is a standard Economy Plus Bulkhead seat. The tray table is in the armrest, making the armrest immovable and slightly reducing seat width. There is no floor storage for this seat during take-off and landing. There is a large array of audio entertainment on this plane and available in all classes. LCD screens are located throughout the aircraft. 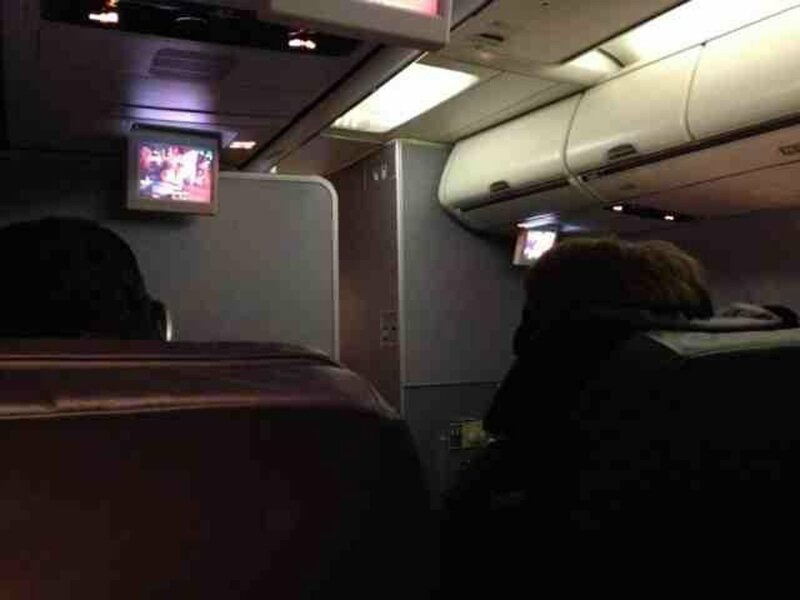 Movies are shown on flights longer than three hours, short subject programming (TV shows) is shown on shorter flights. On select 737s United Airlines offers internet service for domestic US flights. Connectivity is available for laptops or mobile devices. 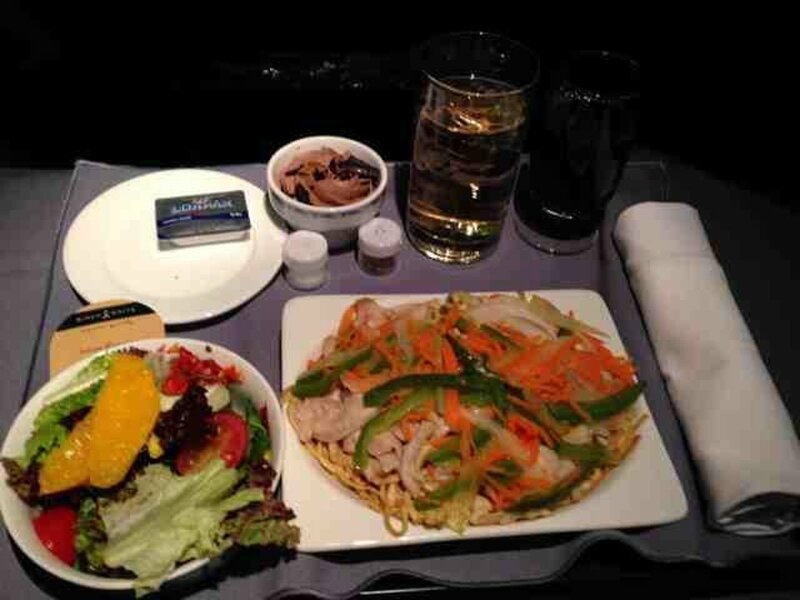 The service is available once the aircraft reaches 10,000 feet cruising altitude. Click here for more information. There are three versions of United's 737-700. This version seats a total of 124 passengers and does not include power ports for First, Economy Plus, or Economy seats. There are only 8 Premium Economy seats in this configuration. Row 7 has extra legroom and can be reserved as Economy Plus seats. Exit seats 21 A,F are also Economy Plus seats with extra legroom. Row numbering is not sequential aboard all of United's 737 fleet. This version is a former Continental aircraft that still operates in United's Micronesian subfleet. Currently United is in the process of reconfiguring this version and expects to complete this reconfiguration by the end of 2013. United flies 3 versions of Boeing 737-700.